With effect from November 2016 customers will start to receive our PXSS2K barrier cable gland with a red back nut. 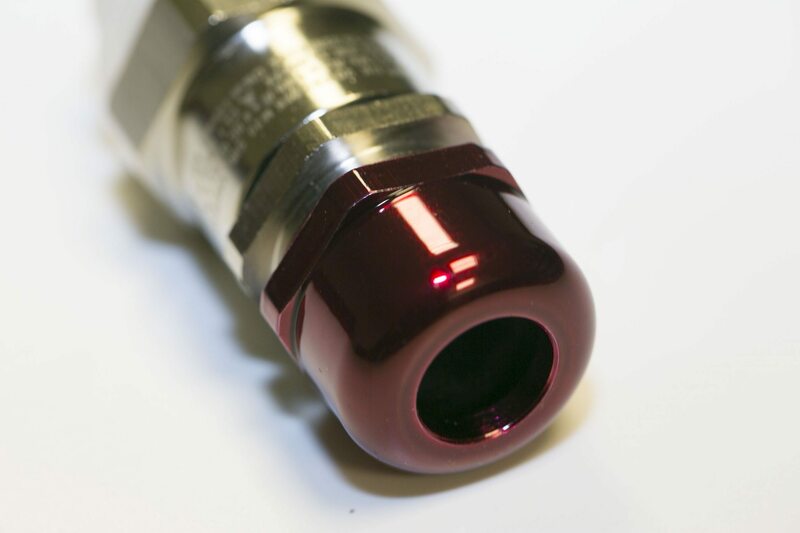 This brings the PXSS2K in line with the rest of the CMP barrier cable gland range and means that all of our barrier cable glands will be identifiable as IEC Ex d or Division 1 Hazardous location barrier cable glands due to a red back nut or red ferrule (see accompanying picture). CMP barrier cable glands will be immediately identifiable as an IEC Ex d Zone 1 or Class I Division 1 Hazardous location barrier cable gland, helping to ensure that the right cable gland is used with the right equipment in the right location. It also means that the product is easily identifiable as a barrier cable gland when held in stock by customers. The changes we have made are purely for identification purposes; both the marking and the product remain the same. Because the product is of high quality and the change is purely aesthetic, during this transition, customers may receive mixed stock when ordering. There will be no change in cost as a result of this update. This change applies to the full range of PXSS2K barrier cable glands, in all sizes and materials –including the HC and PB options. This change is effective immediately from November 2016. Our customer service team is available for any queries you may have on this product update. Our initial feedback has been positive and we believe that our effort for continuous improvement across all of our product rages will be well-received by customers and installers alike.